Nestled in the foothills of the South Carolina Blue Ridge Mountains, the Tamassee (pronounced tuh • MAH • see) DAR School was founded in 1919 by the Daughters of the American Revolution to educate rural children from the local Appalachian village. 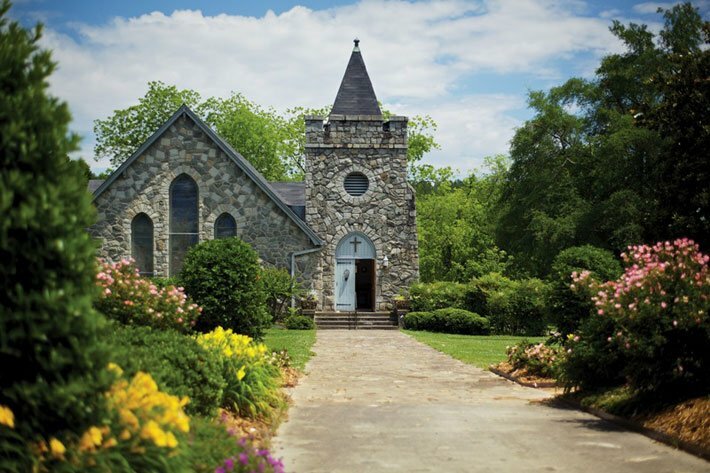 The Tamassee DAR School still operates today as a private nonprofit school, providing education and family services to children across the country. The Tamassee DAR School is significant at the state level for its association with the history of education in the rural northwestern corner of South Carolina and as a unique example of a school in South Carolina sponsored by a national patriotic organization for the purpose of helping poor children in a rural area have better access to education. The school is one of only two in the United States created by the Daughters of the American Revolution (DAR). Funding for the School was provided primarily by state chapters of the DAR from all across the country. The Tamassee DAR School was also the first site in South Carolina of the Wil Lou Gray Opportunity School, a significant early twentieth century initiative in the state to improve adult literacy. The Tamassee DAR School opened in 1919. The curriculum emphasized education in the DAR’s core values of good citizenship and patriotism. The first class had female boarding students, with boys enrolled only in the day school. Boys began to be admitted as boarding students in 1932. The poor rural families who sent their children to the school in the early years often paid the tuition with the only form of payment they had available, namely produce and livestock. By 1954, it boasted an enrollment of 452 students. The campus was intended to be self-sufficient with all the necessary buildings needed to run a facility of this type. The school, living quarters, a church, and other buildings were all located within walking distance of any point on campus. The nominated property includes forty-four contributing historic buildings, sites, objects and structures and eleven noncontributing resources, with the contributing resources dating from 1919 to 1960. May we have permission to use the above photo in a power point presentation for a DAR meeting? The presenter is Beth Bryant who once was a student at Tamassee and will be putting her presentation on power point and need some photos of Tamasse school and activities. We are so sorry for your loss! There are address left at the bottom of the page here (if viewing on a computer) or the website is listed as well. Their phone number is: 864-944-1390. The address listed on their website is: 1925 Bumgardner Drive, Tamassee, SC 29686. We hope this helps! A dear friend of ours recenly died and ask that contribution be made to the DAR School. No address was given. Can you provide us with one. Thank you. I was born and raised in Oconee County, and now that I’m entering my senior years I yearn to retun to live out my last days there. Is there any property I might be able to purchase in Tamassee area?